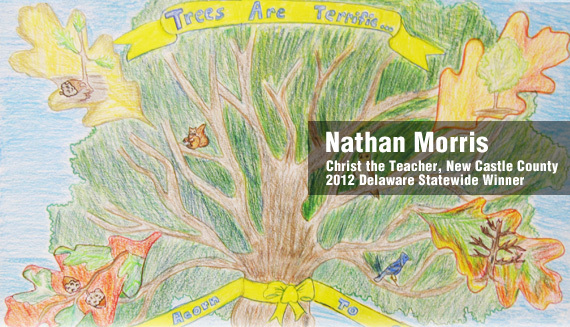 The Delaware Department of Agriculture, Forest Service section (DFS) annually sponsors an Arbor Day Poster Contest for Delaware school children in grades K-4. In addition, we administer a National Arbor Day Poster Contest sponsored by the National Arbor Day Foundation for fifth grade students only. Information packets on the Poster contests are mailed to Delaware schools in December/January. The awards are presented in April during the annual Arbor Day Ceremony. In addition, DFS annually distributes free pine seedlings to Delaware elementary school children. These seedlings are distributed on a first-come, first-served basis.